If a broken spring or a non-responsive opener is preventing you from using your garage door, you need to give our team a call. We created this page so that potential customers will be able to check out our latest projects and see how we were able to help other overhead door owners like them. Customer Issue: Garage door moving slowly then detached and fell. Our Solution: We inspected and tested the customer’s opener ourselves and found that it was indeed detaching from the door and causing it to fall due to irreparable wear over the years. 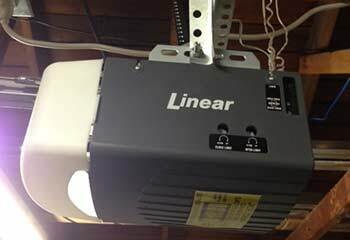 It was replaced with a new Linear LDO33 model opener, which we assembled and installed for him. 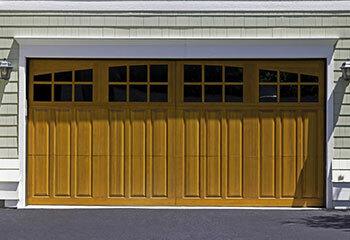 Customer Issue: Needed a garage door installed in her new home. Our Solution: Ms. Carpenter decided on a new Clopay insulated walnut door with windows model GR2SU_WO_WIA2. We ordered the door and installed it to her satisfaction when it arrived. 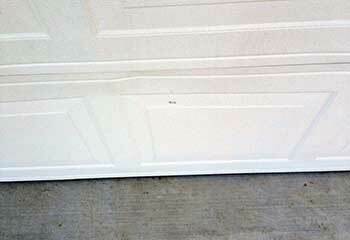 Customer Issue: Mr. Craig called our company to replace two damaged garage door panels. Our Solution: We ordered the replacement panels from the door's manufacturer and replaced both. We then double-checked the door's operation and made sure it was working properly. 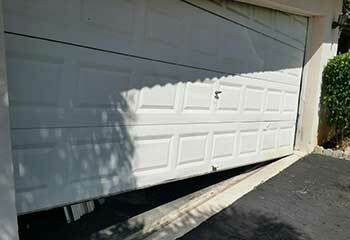 Customer Issue: The customer's garage door had gone off track. Our Solution: Our technician secured the track with longer bolts. He then went through a general maintenance procedure to make sure the door was working properly.